It is an exploration of ethereal dreams, bold visions, and ancient artist traditions - weaving these stories into beautiful, modern pieces of leather, silver, fine textiles & other mediums. Created Ethically & Locally in the U.S. with the highest quality materials. The name carries our inspirations and is the heart of our studio. We are two sisters who began this journey since we were toddlers. We traveled and moved around the world often growing up. Wherever we ventured, we were drawn to the history, culture, and the spirit of the city - keeping a piece of each place in books and art. Our constant was our mother’s sewing room that she set up wherever we moved. The room was filled with mannequins, fine silk and cotton from Sweden to Korea, fashion projects, her prized industrial sewing machines, and the two of us mischievously drawing on anything in sight. Our travels from an early age became a part of who we are as artists. The myths, ancient symbolism, and iconography of each place crowded our psyche & enchanted us - exploration & art is encoded in our DNA. Our studio is a place for us to tap into our creative lei-lines and experiment with different artisan crafts all over the world. 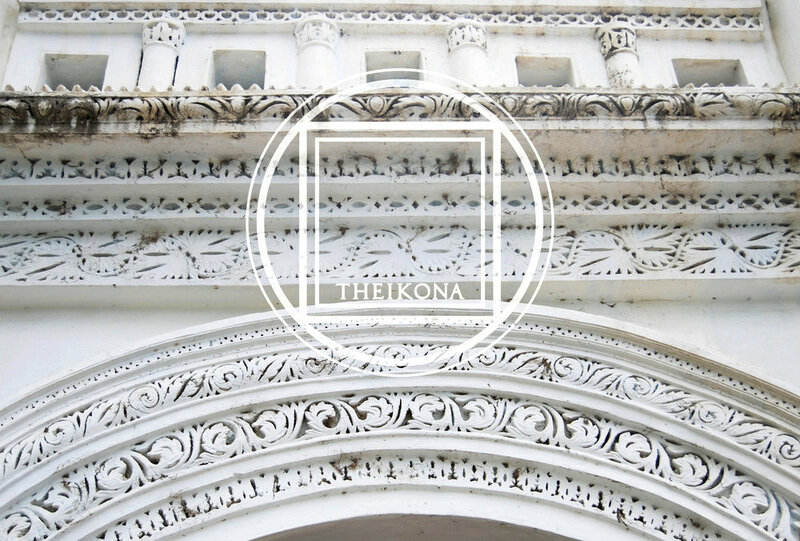 We created Theikona to give our fantastical idealism life. We are extremely hands on in our studio. With the exception of no longer scribbling on furniture or cutting our hair with fabric scissors, the practice of experimenting and designing has never left us. One of a kind goods are our specialty as we love making a handbag or bracelet in our studio just to satisfy our curiosity and creative impulse. We can’t imagine selling a design without creating & testing it with our own two hands to see how each stitch works - there is no other way that we would have it. For us, this small design studio is important, especially in an age where everything is mass-produced without care or thought. Each collection celebrates our roots born from the traditions and techniques of the many artisans who struggle to keep their beautiful craft alive in a fast changing world. We make everything locally in the U.S. and use sustainable materials such as vegetable tan leather from Italy because it’s safer for the environment. All designs are created in our New York studio first. We’re cautious of waste, which is why we create one of a kind goods, or 5-10 pieces per style as opposed to jumping to larger quantities. We want to continue the artisan tradition of creating truly unique, precious items with meaning and story behind them. Our passion for artistry extends to many projects such as painting, jewelry design, textiles, and even perfumery - Other areas that will grow over time with Theikona Studios. Theikona is the essence of who we are - it is our drive for creativity, our passion for life, exploration, art, and respect for each other and this planet.